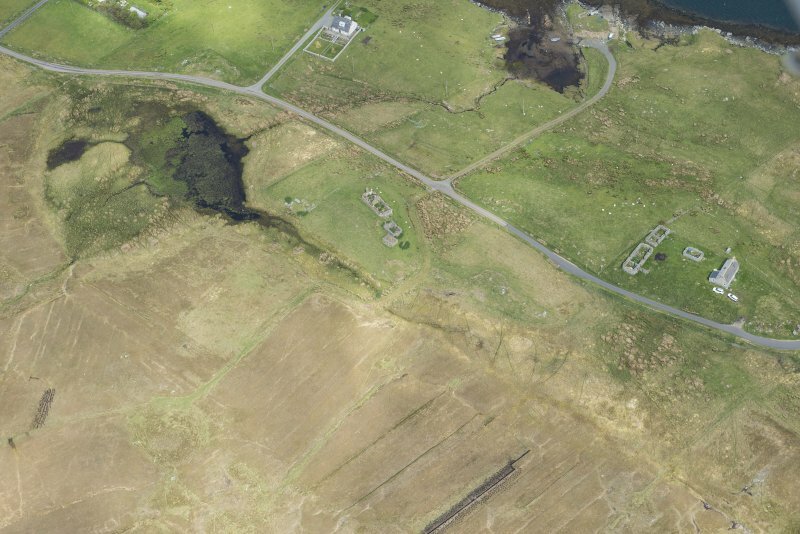 Locheport A later 19th-century clearance settlement (many came here from Sollas), with thatched houses of interest because of their relatively late date and recent occupation (albeit now in varying stages of collapse). 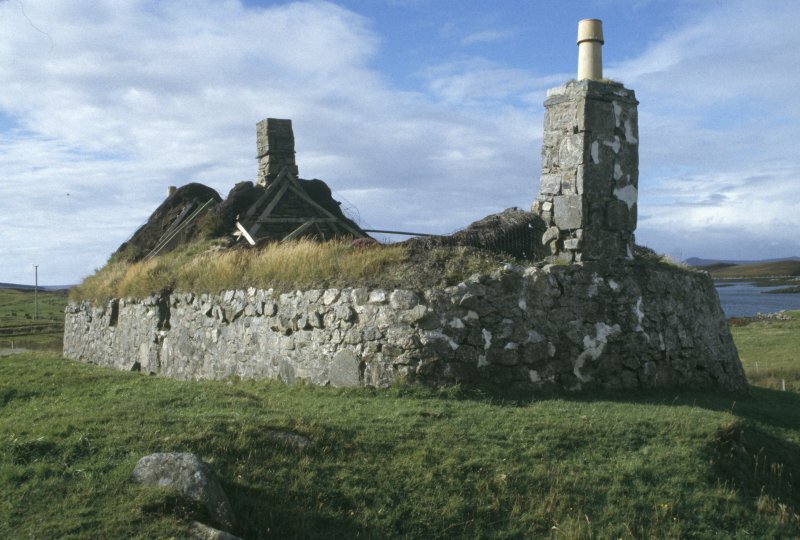 9 Locheport, rebuilt c.1910 An unusual four-bay cottage (situated just above the road at Sidinish), incorporating a small unheated room behind the entrance passage, a central kitchen (lit on both sides) with chimney gable, and two flanking bedrooms. 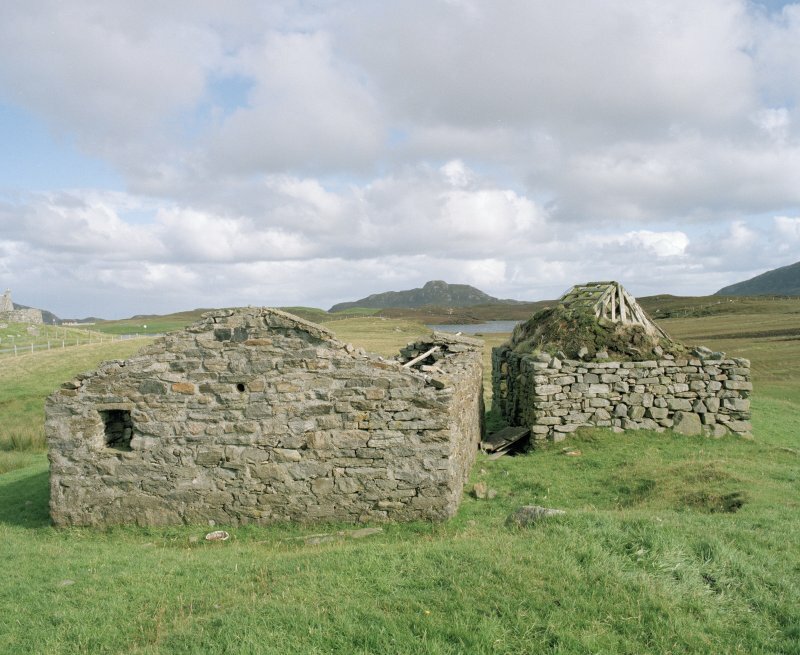 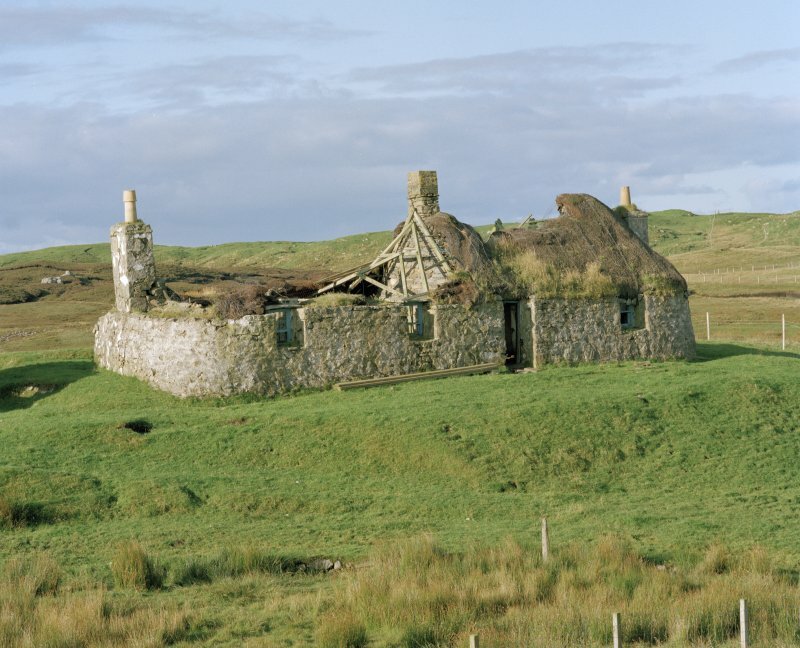 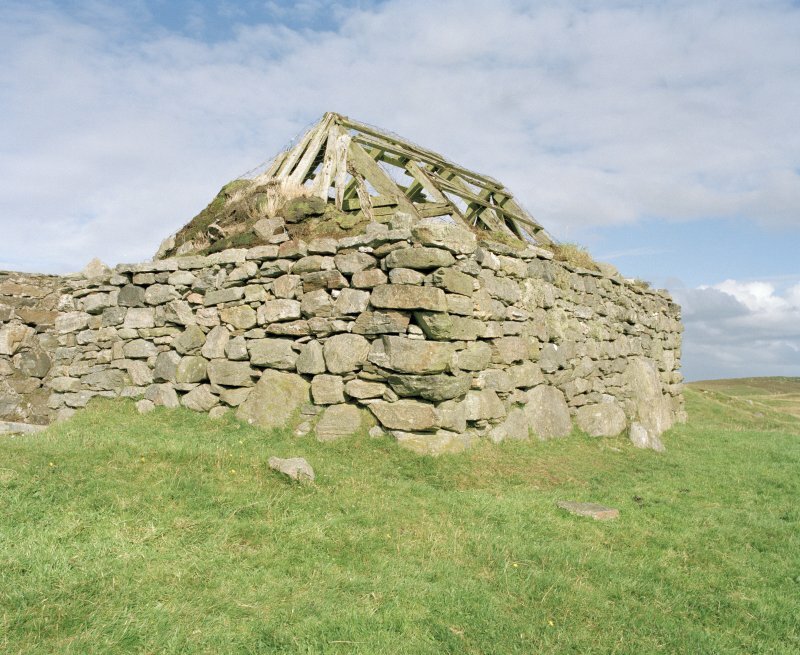 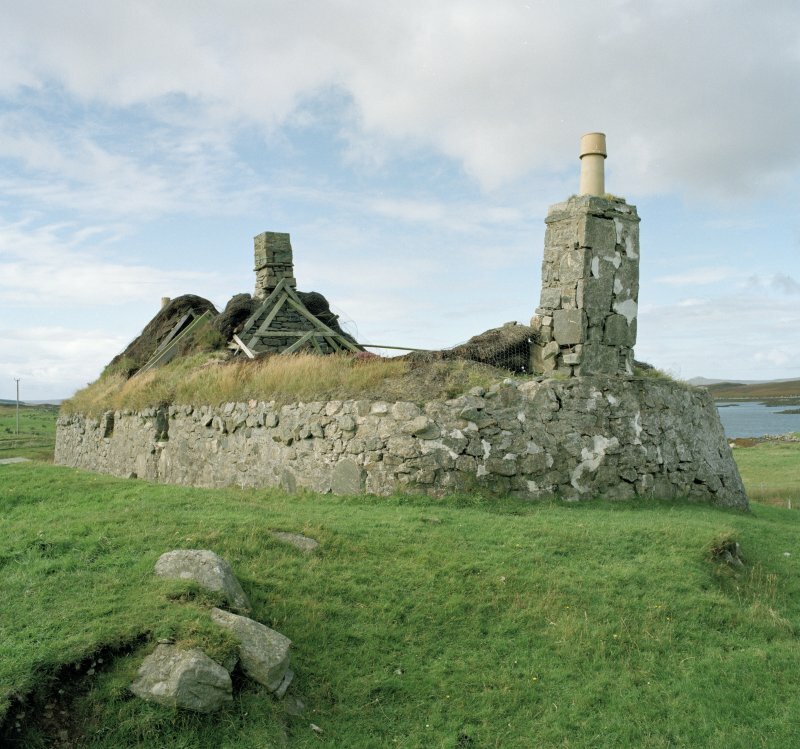 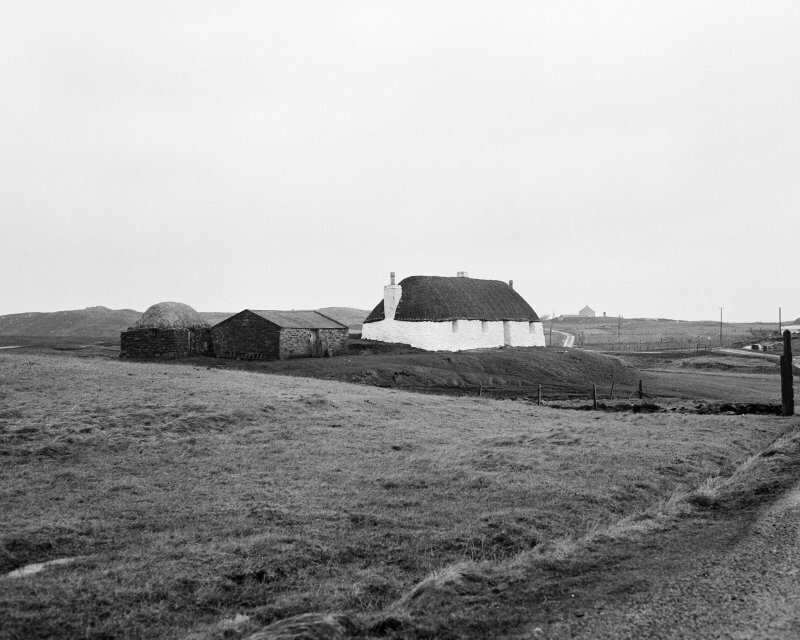 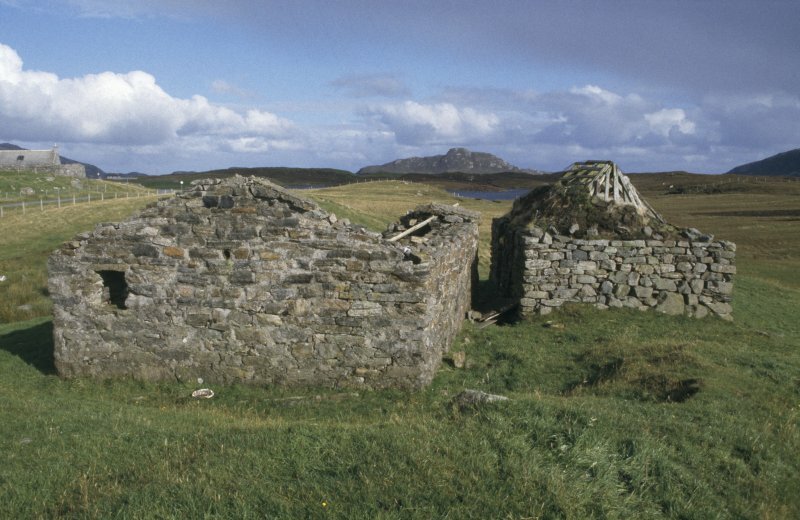 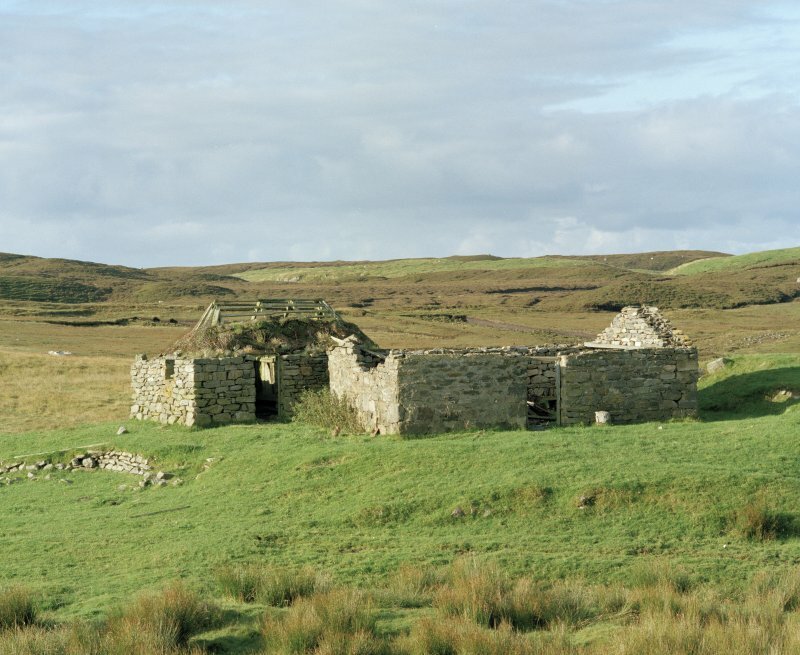 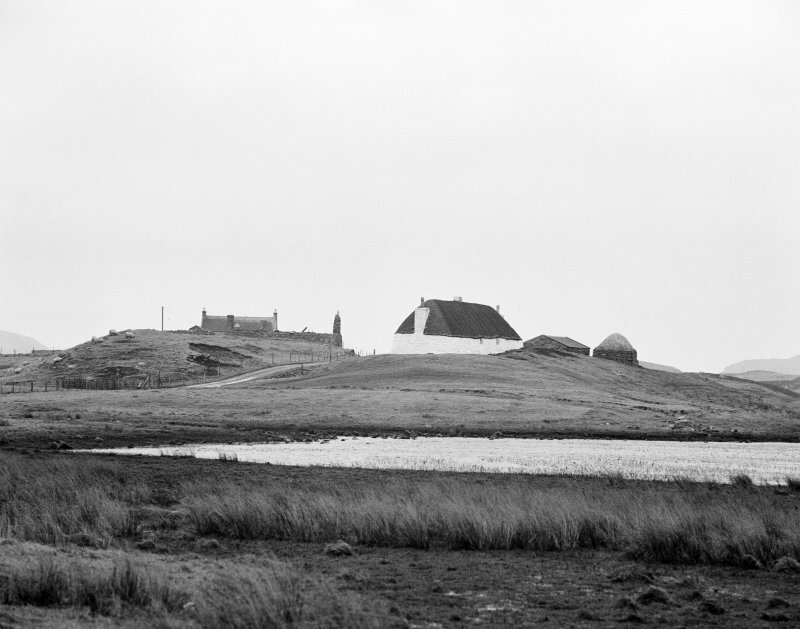 Being on the eastern side of the island, where moorland replaces marram-strewn dunes and machair, its roof (now collapsed) was mostly of more durable heather thatch. 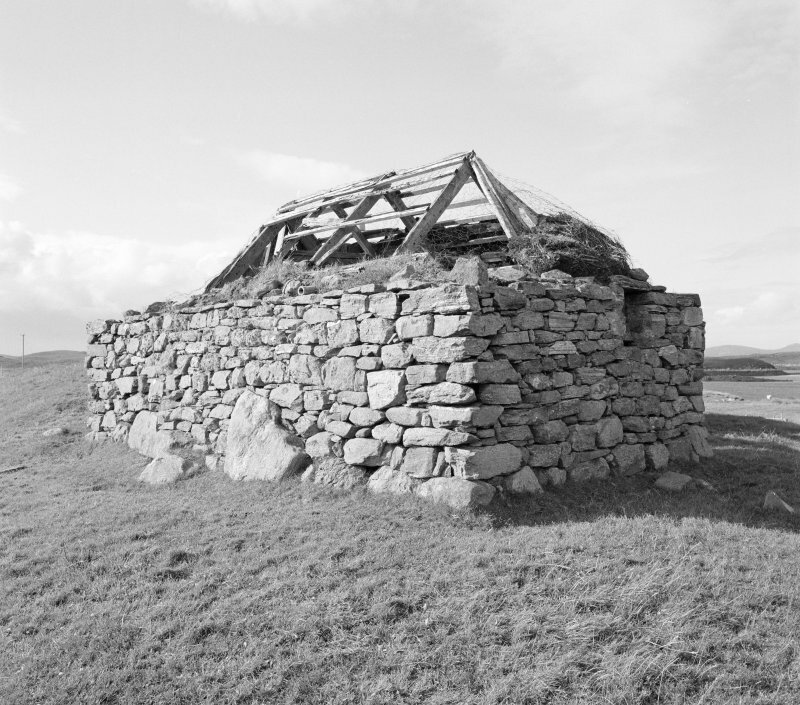 Still visible are the box beds, timber framed partition infilled with clay and pebbles, heather rope and mud daub, roof timbers with pegged joints, and other details of considerable interest. 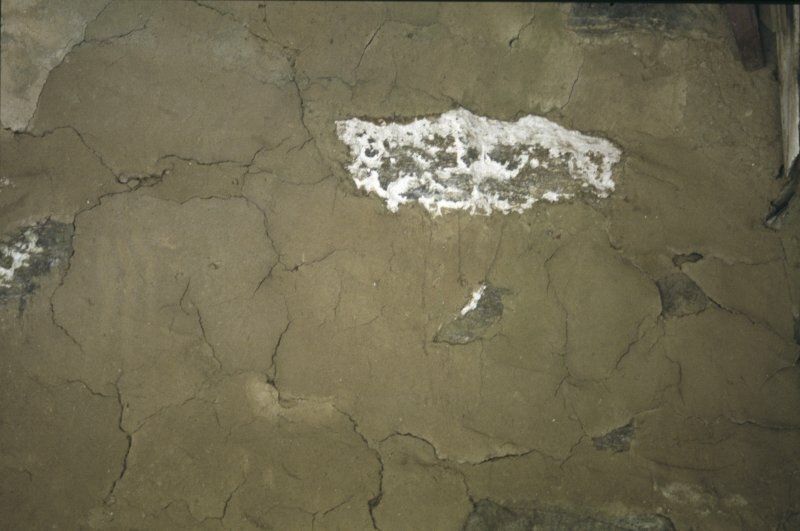 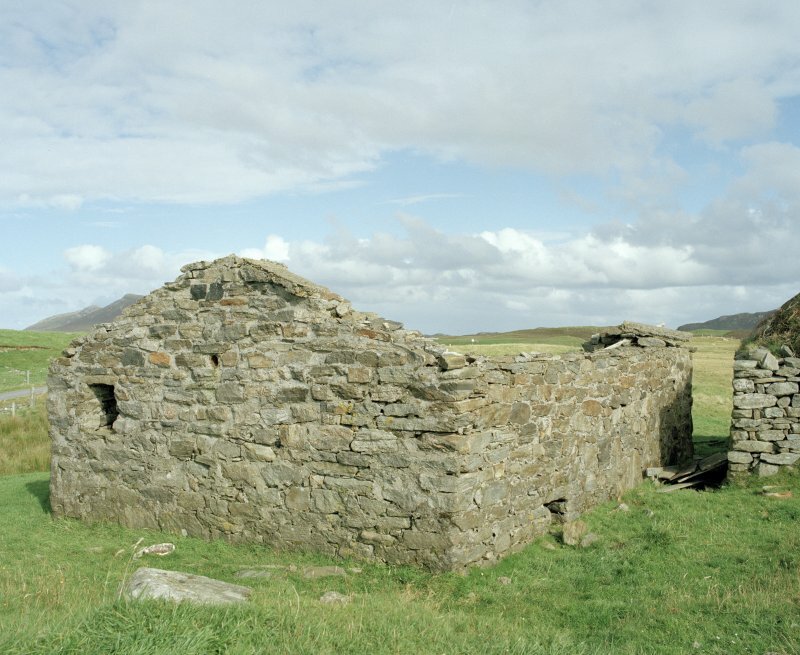 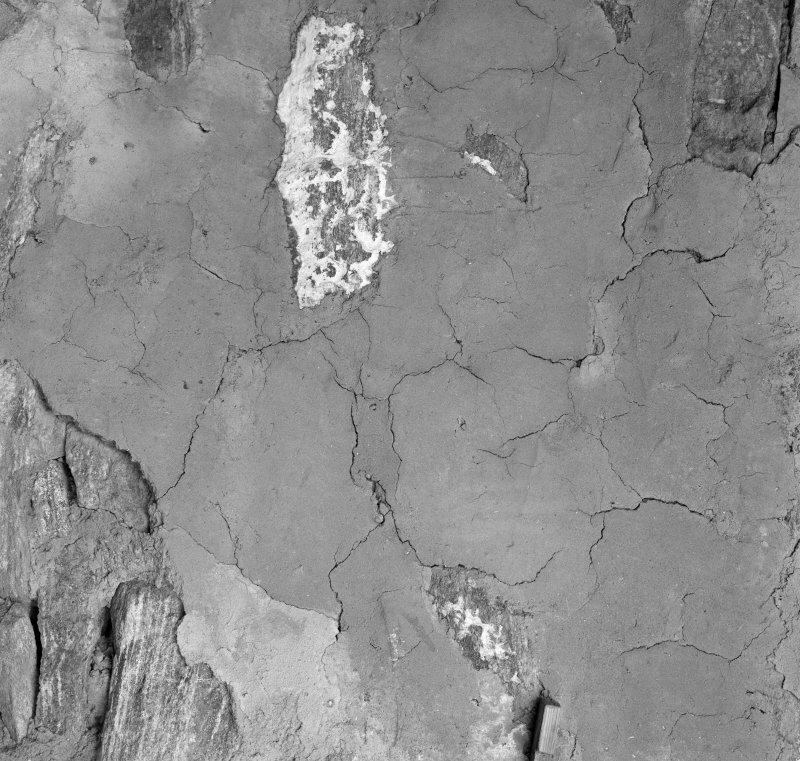 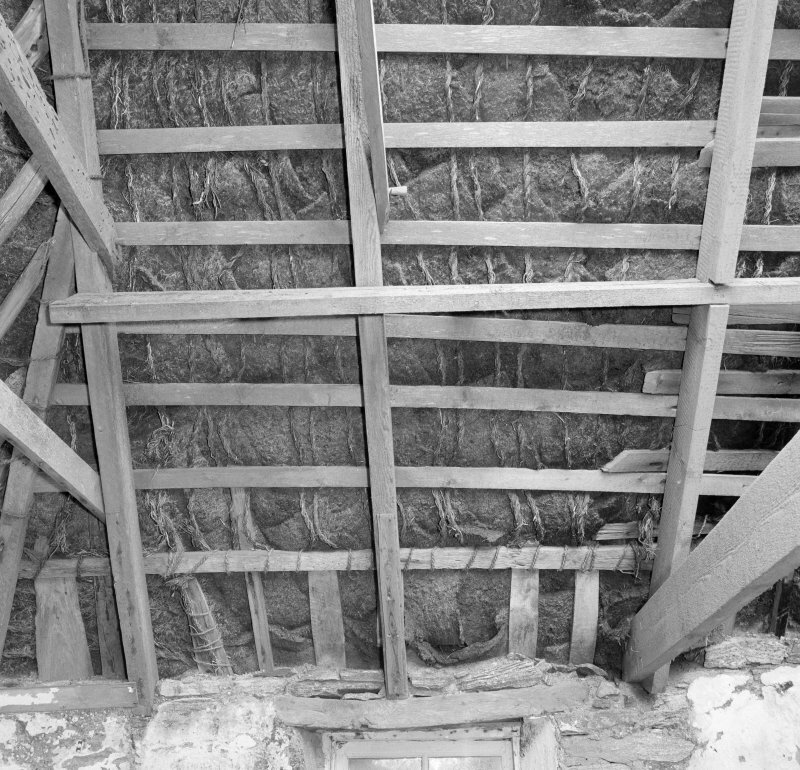 Field recording and detailed laboratory analysis of this roof were undertaken as part of an ongoing archaeological analysis of Scottish thatched roofs. 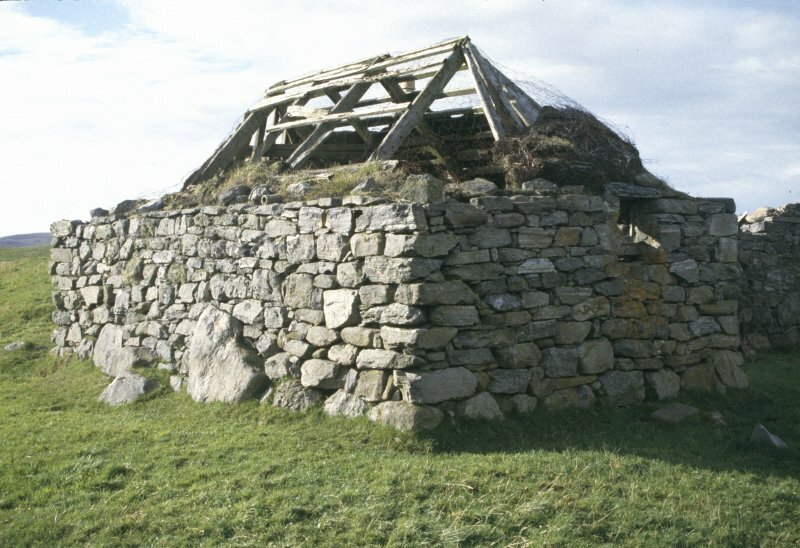 The building was last occupied and rethatched in the 1970s but the roof has now largely collapsed. 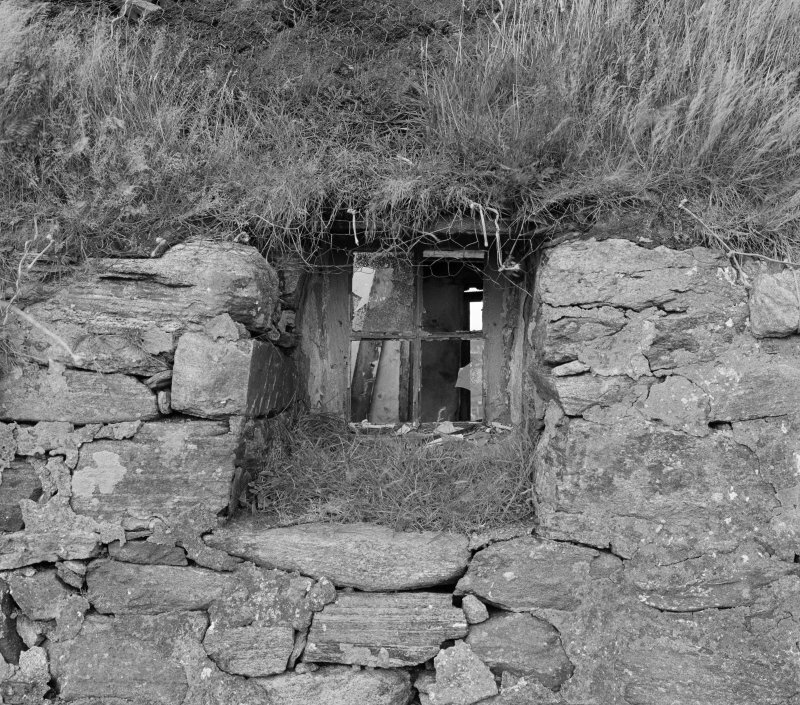 Large rectangular turves made up the basal layer upon which were laid a mixture of marram grass and barley straw. 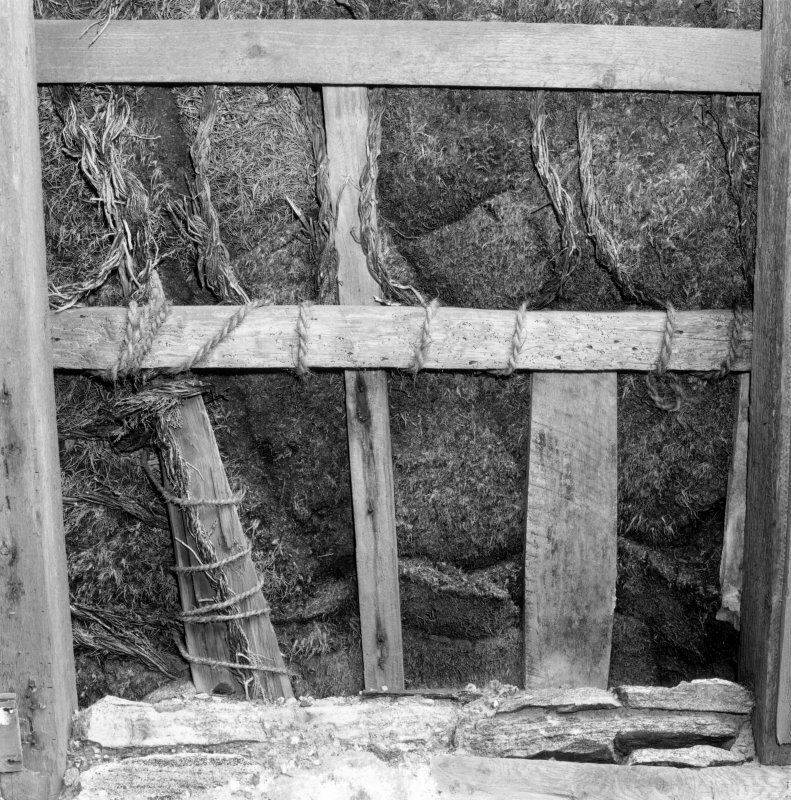 Subsequent rethatching was done with layers of heather, separated by thin layers of bracken and held in position by heather ropes. 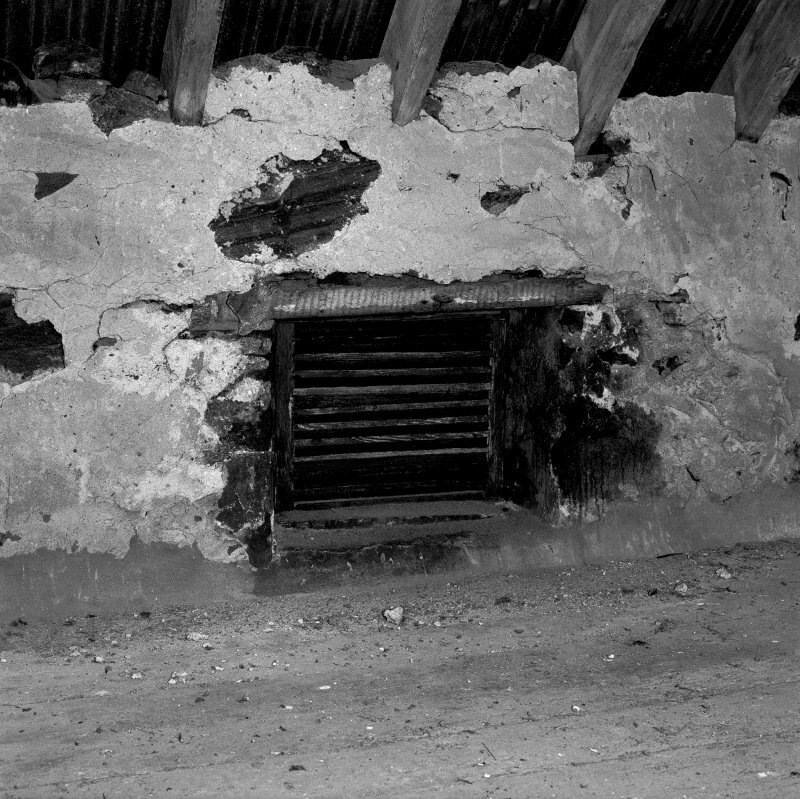 Information to follow. 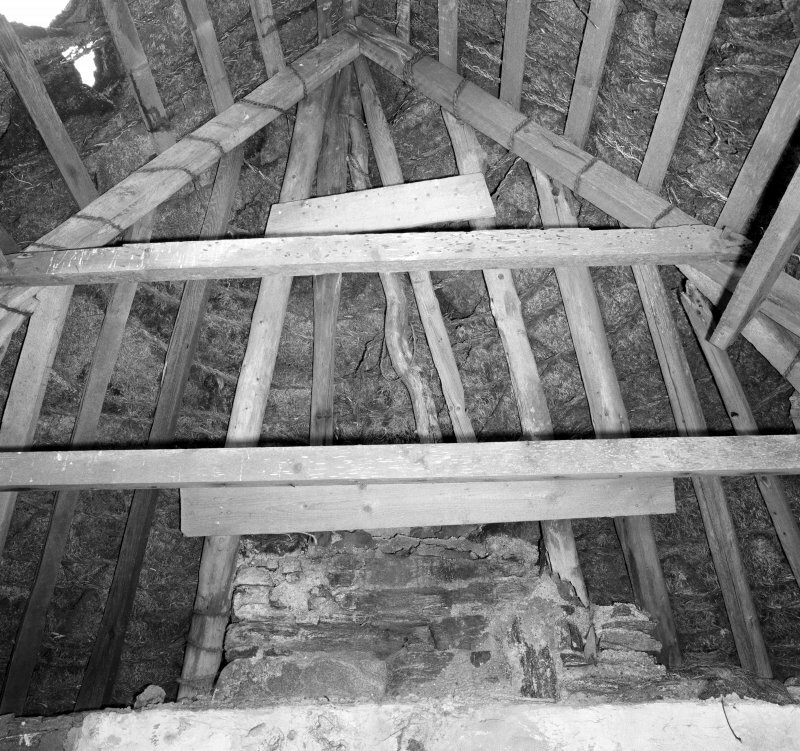 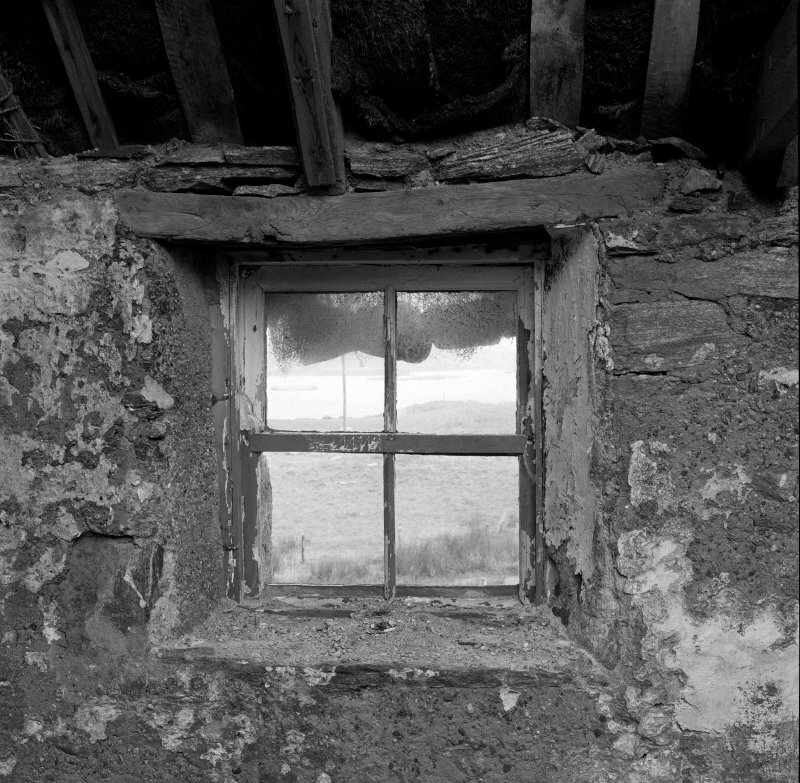 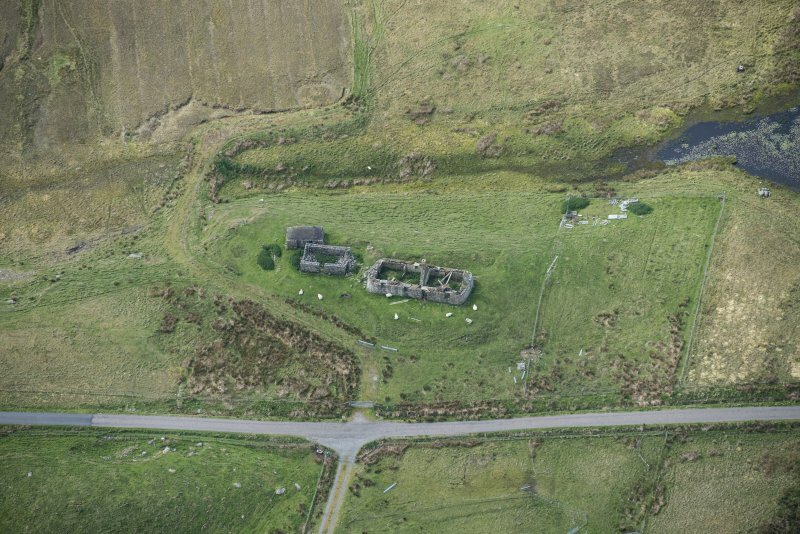 Undergoing survey as part of Scottish Farm Buildings Survey. 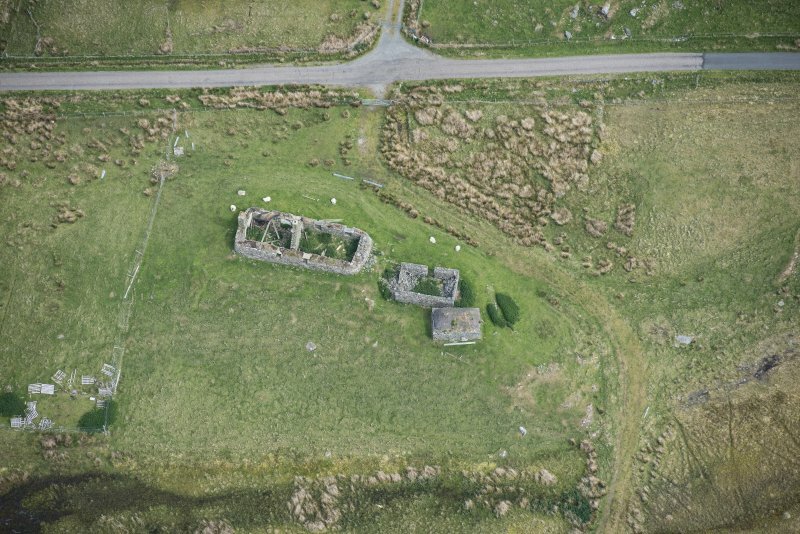 Information from RCAHMS (GPS) October 1998. 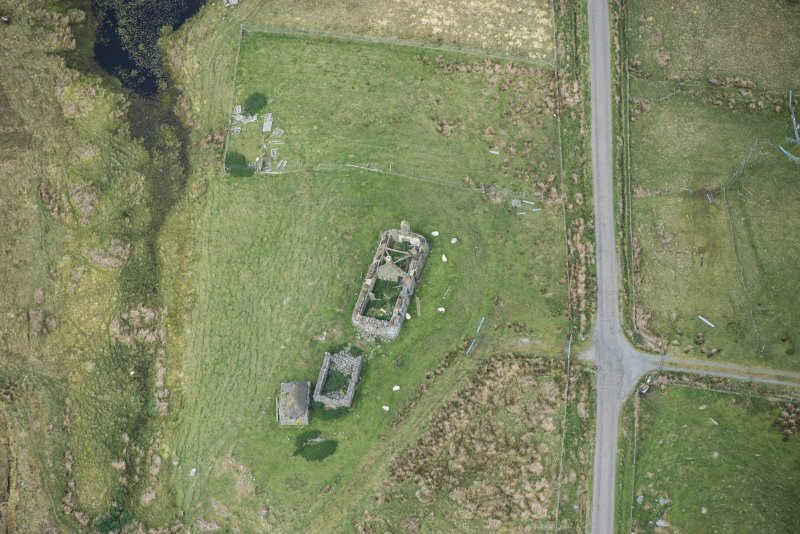 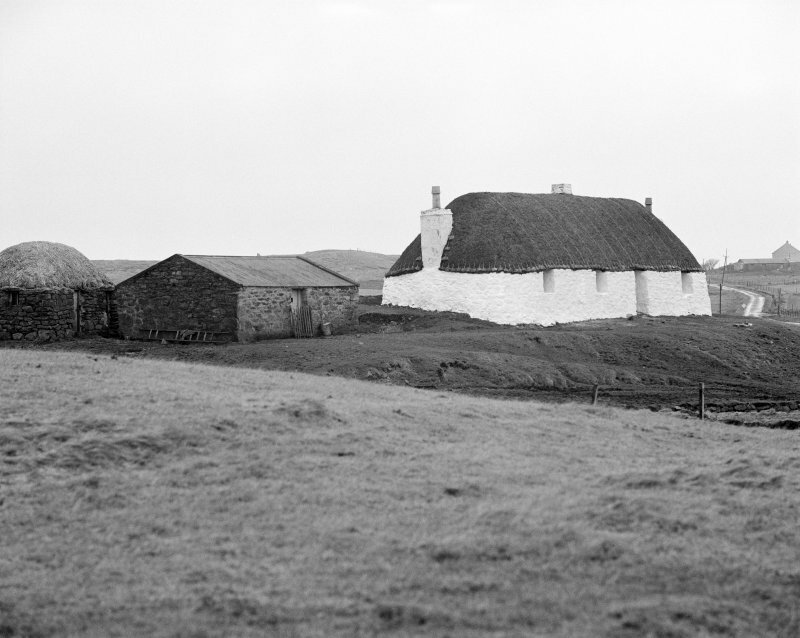 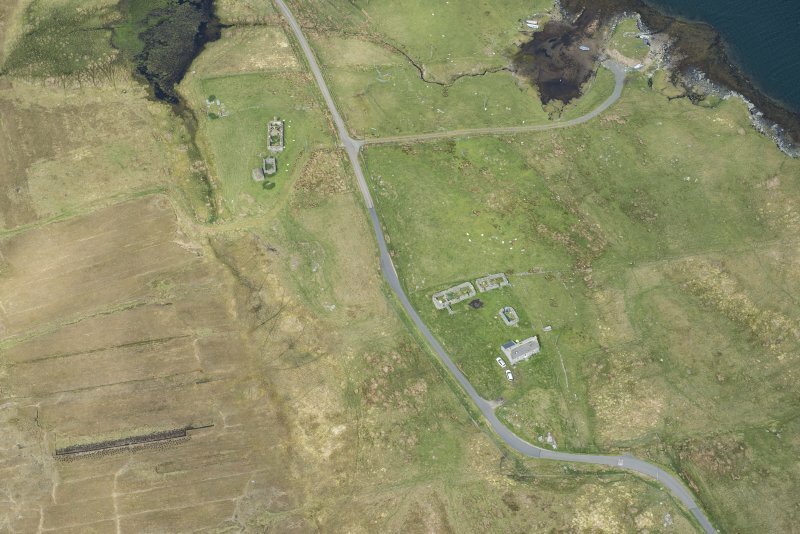 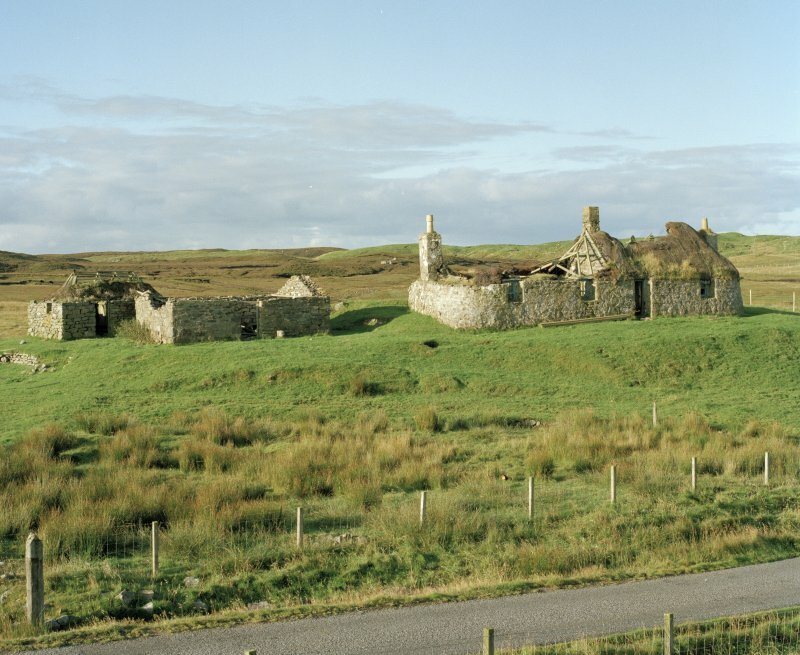 This farmstead comprises a sub-rectangular, two-cell, three-bay and hipped-roofed house (possibly once a byre dwelling), and a post-1900 gabled byre and a hipped-roofed henhouse, both to the NW. 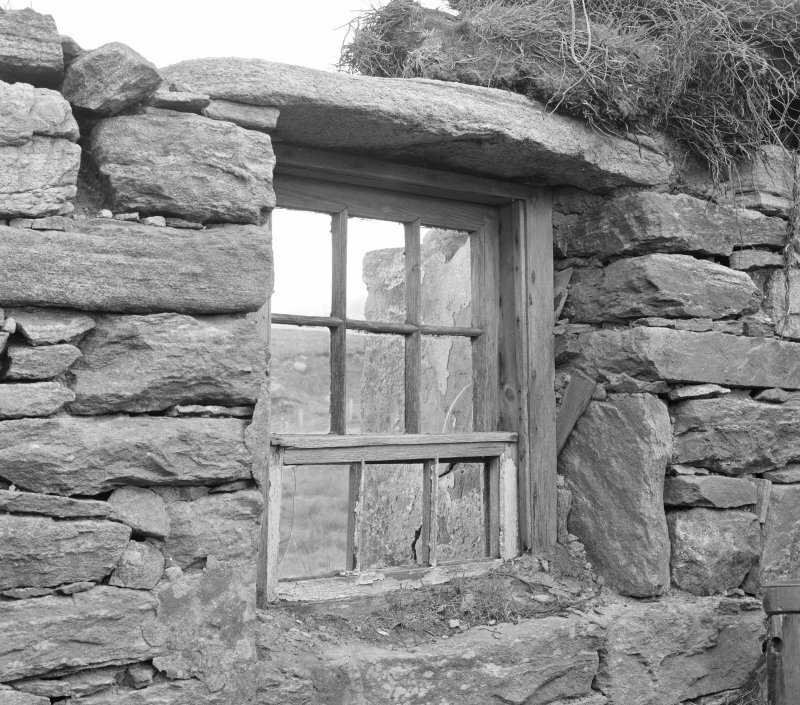 All the buildings are of drystone rubble, partly harled and pointed. 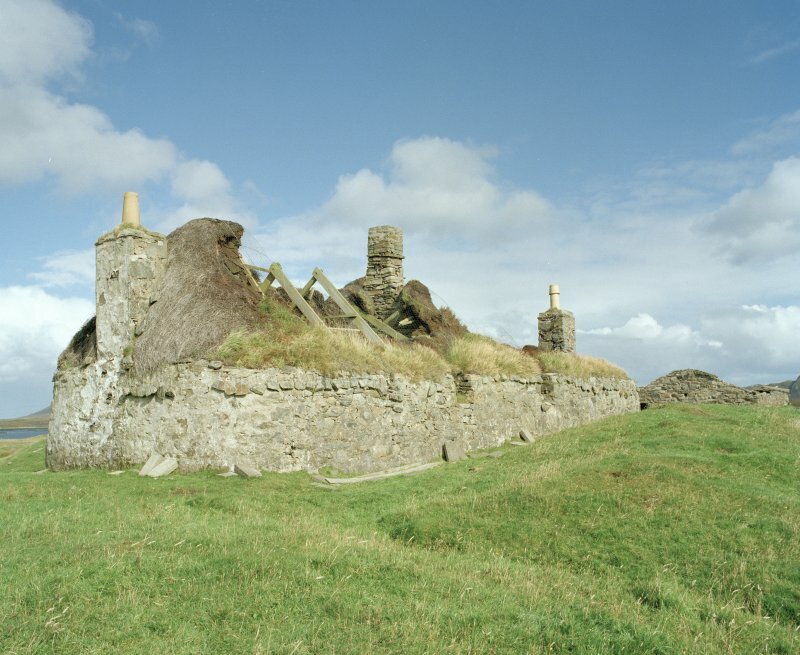 Parts of the heather thatch and roping remain on the house and henhouse roofs. 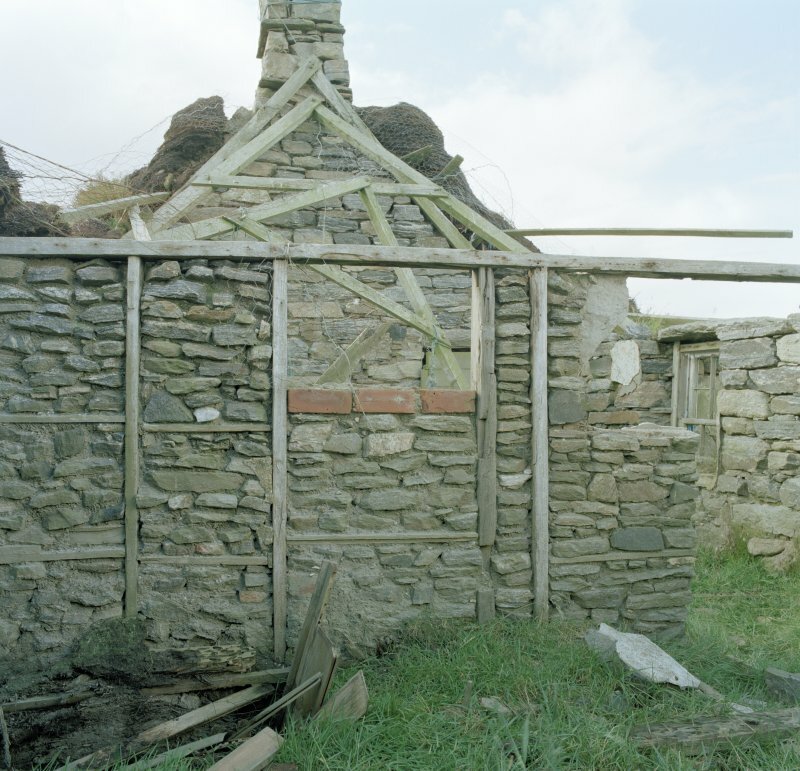 The byre is roofless. 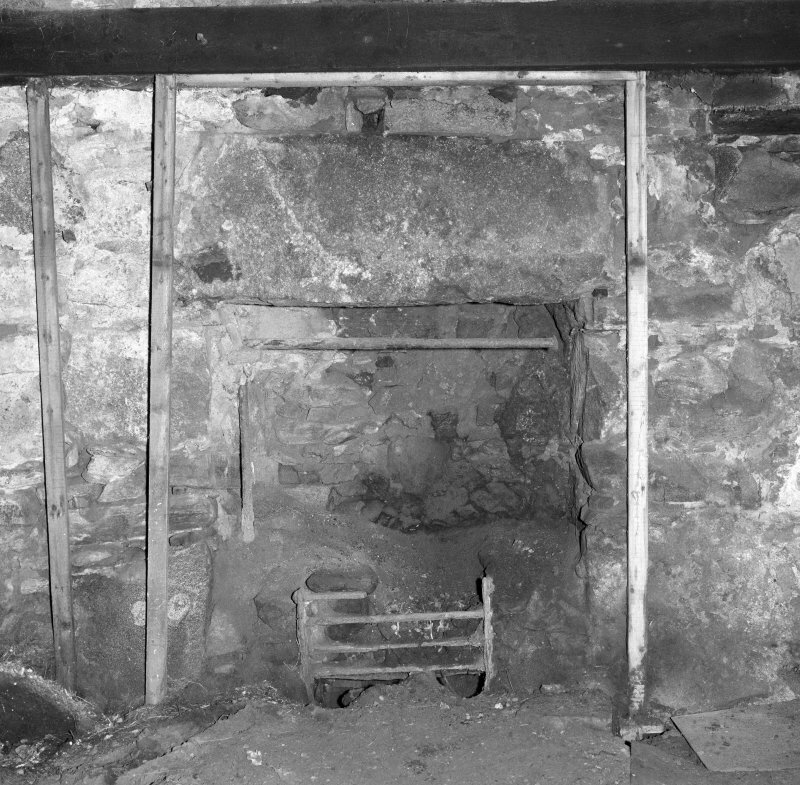 The end and central chimney stacks are later insertions in the dwelling, which has clay daub on its interior walls. 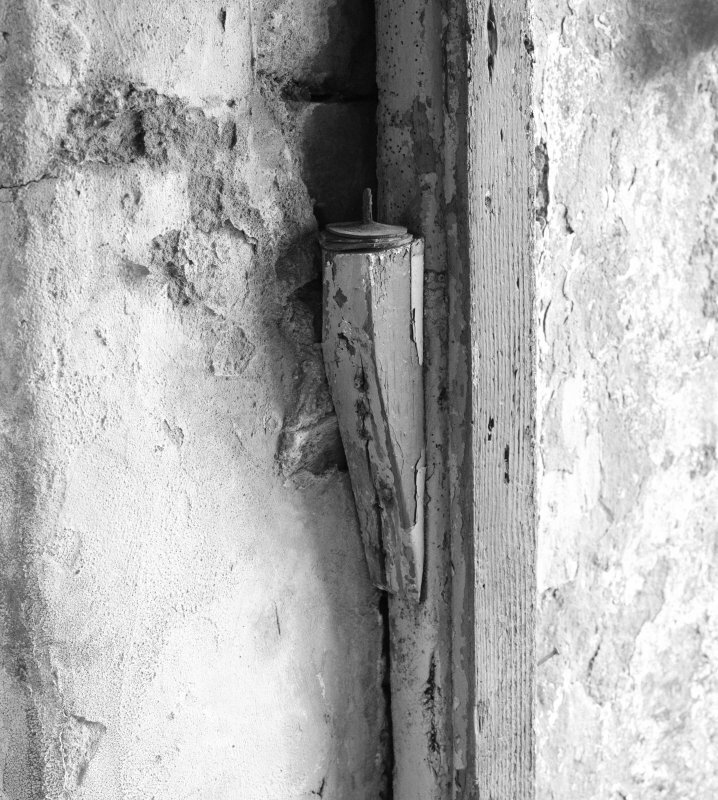 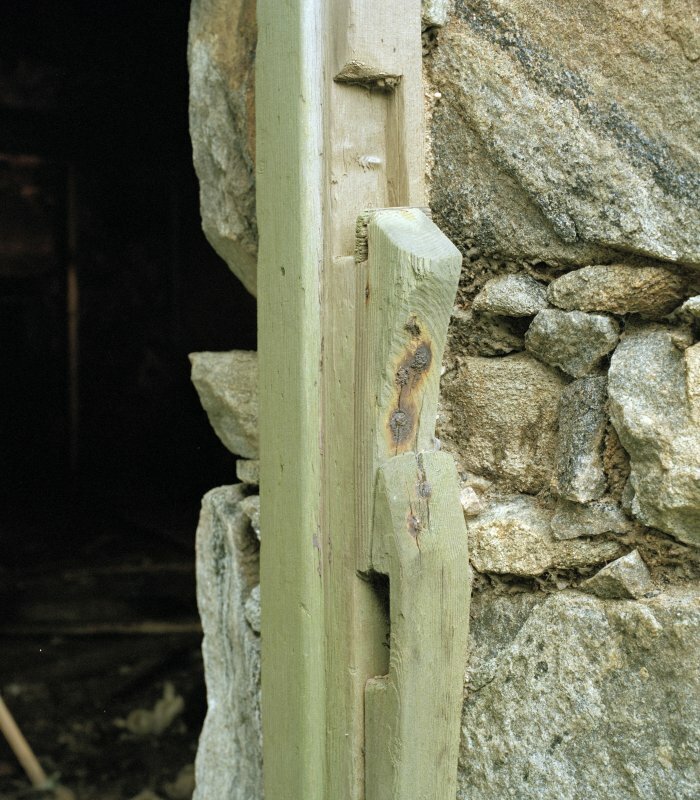 Details in this building include a wooden door-latch and lock, and sash and fixed windows. 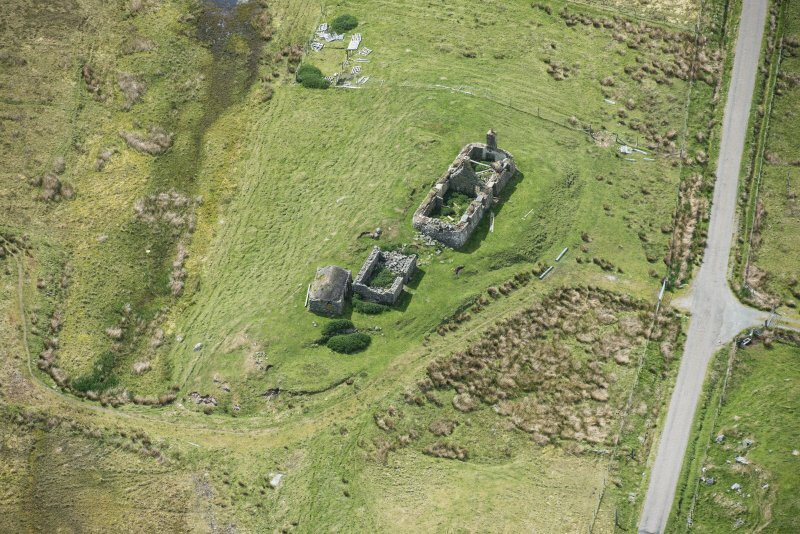 Information from RCAHMS (SS), 10 February 2006.